If you have ever felt a struggle in laying down sin or discouragement in fighting spiritual battles, this video series will help you change from giving in or giving up to giving ALL! These video lessons will give you both the necessary tools for change and the conviction to fight with all your heart, soul, mind, and strength to rise above all selfish desires and live for God alone. You will gain the tools you need in order to overcome all strongholds and spiritual warfare and the encouragement you need to put it into practice. 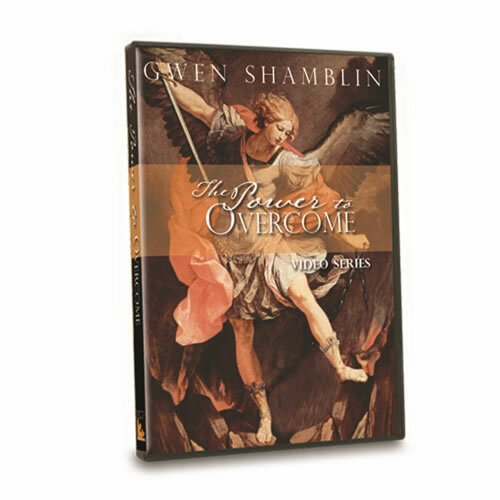 Gwen Shamblin clearly explains how to be completely victorious over any struggles you may have and go “all in” in your relationship with God. You will have the practical steps you need in order to immediately use all of your energy to say “no” to any lust, pride, or selfish desire—to stop "trying" and start "DOING"! Learn how to stand up to spiritual bullies and fight back like a spiritual superhero! These powerful messages will change your heart and mind forever. This set includes two DVD lessons entitled "Staying in the Light" and "All In." Topics covered include: correction / redirection, persecution, testing, temptation, and spiritual warfare. These lessons were recorded live by Gwen Shamblin at the Remnant Fellowship Church in Brentwood, TN.